Photo: SBSO "Hundreds of thousands" of cannabis plants were seized in Los Alamos by the Sheriff's Cannabis Compliance Team. 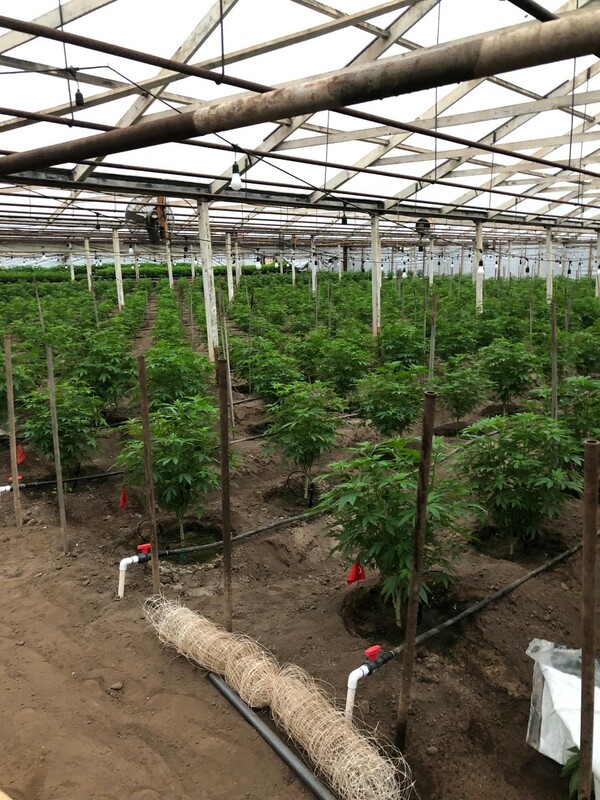 A joint operation involving San Luis Obispo and Santa Barbara counties garnered on Thursday morning what the Santa Barbara Sheriff’s Office is calling the largest cannabis grow seized since its Cannabis Compliance Team formed last year. Hundreds of thousands of plants were found in greenhouses in Los Alamos when deputies, state Fish & Wildlife officers, and police from Santa Maria and Grover Beach simultaneously raided 805 Beach Breaks on Highland Drive in Grover Beach. A month of investigation had preceded the search warrants on the locations, according to the Sheriff’s Office. Thousands of pounds of processed marijuana were seized in Los Alamos, and the sheriff reported pot from the illegal grow in Los Alamos was also seized at Grover Beach. Business records were seized as well, and the investigation is ongoing into alleged fraudulent licensing and black-market cannabis.